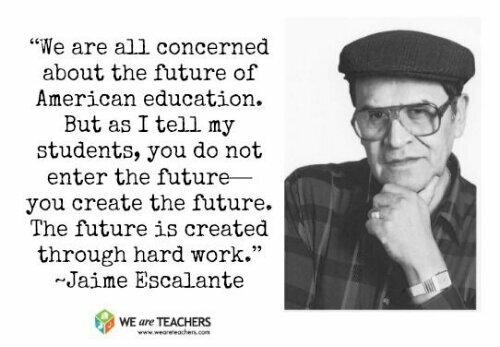 Yet…this value of working hard must be taught and appreciated… As a teacher, I would have hoped to have all my children ready to learn and work hard…. This is where my role as their advocate, teacher is there to love and understand their lives….The difference is, I will not enable their “learned helplessness”….I provide a safe, strong, hardworking classroom… I will be a strong role model….that values who they are…We will always try… “Never Giving Up”! I can see you have a mountain of work to accomplish in motivating some of your young students Janice. And without extra resources, I suppose there is no easy answer. Generally, a severe lack of resources results in two different behaviours, both in adults and children. Either we resign ourselves to apathy, or we cooperate towards finding a solution. I think most children are better at this than most adults. Children love, or at least feel obligated, to help. I do not think they are competitive at an early age. They help disabled parents, as much as they can, siblings, friends and even strangers. In a classroom environment I dare say most of the ‘high fliers’ would love to help the slower students catch up. The resulting closer relationship would surely help motivate the slow learners and provide a role model for them. Would the ‘high fliers’ be held back? Most of their parents would think so, I’m sure. But, no, I don’t think so. In many ways they would be more advanced as a result, perhaps leading to natural leaders, or even compassionate politicians! Food for though? I’d love to know yours.